���� �������� ���������� ����������� ��������� ����� ������ ���������. ����������� �����������, ���������� �������. Each publication illustrates one type or major sub-types of a famous aircraft in the colour schemes and markings of the Air Forces of the World. 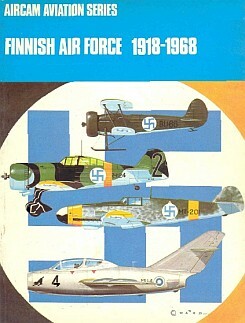 Each issue will contain eight pages of colour side view illustrations, supporting black and white plan view drawings showing where necessary both upper and under surfaces, one hundred and twenty-five half-tone photographs, each issue will also contain one full colour plate illustrating twenty examples of Unit Insignia of the World's Air Forces.